By request, the utility now also copies the row height. Now automatically adds http:// in front of the hyperlinks if needed. Removes all range names with invalid addresses. The utility creates a report that shows which names have been removed. You can specify a range with the values to search for and replace, which allows you to do many replacements automatically after each other. The target can be a certain range, your current worksheet, all selected worksheets, or even an entire workbook (that is open in Excel). 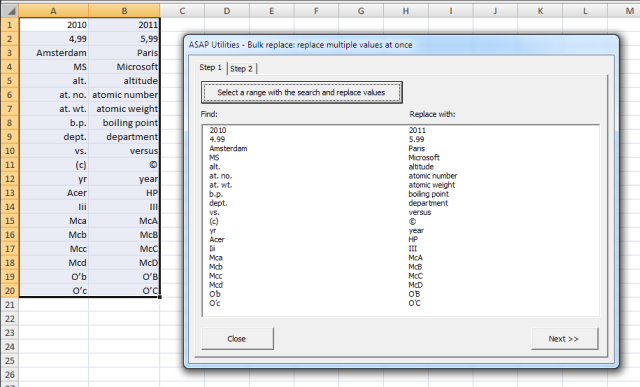 At this moment the search/replace is done in cell values and hyperlinks. We're working on more items to search/replace in, such as formulas, comments, header/footer, textboxes, etc. We think this tool can be a huge time saver. Please let me know what you think of it and if we're missing something. 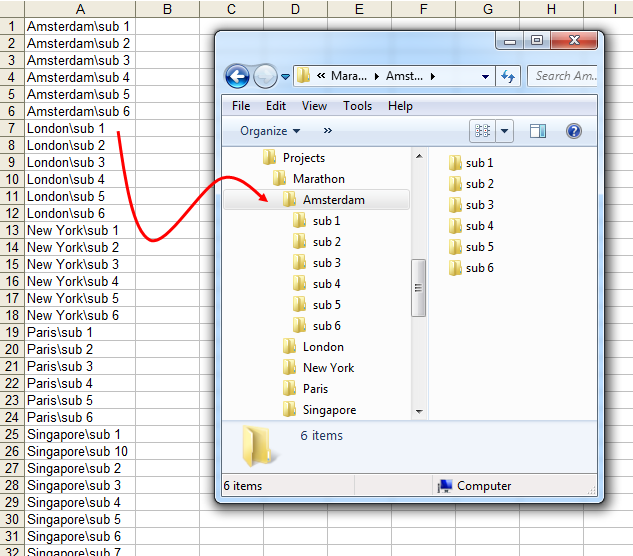 Now supports creating subfolders if a cell value contains a value such as "folder\subfolder1\subfolder2". 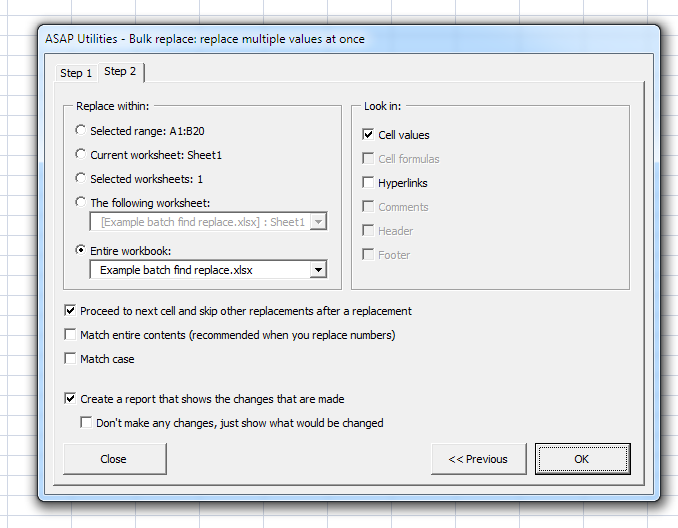 Previously the backslash \ in a cell value was changed to an underscore and then the folder was created. Now the backslash is used to create subfolders. Contains a new option: Help improve ASAP Utilities, Allow ASAP Utilities to report anonymous usage statistics. By default this option is turned on. These usage statistics don't include personal information, such as your name, company name or email address. Usage statistics do include the following information from your computer: Windows version and language, Excel version and language, ASAP Utilities version and language, and the id's of the 10 tools used most often. This information helps with the further development of ASAP Utilities and its documentation and translations. "Add ASAP Utilities to the Excel menu"
"Remove ASAP Utilities from the Excel menu"
The option "Copy to clipboard (tab delimited)" always included hidden cells, even if the option "Do not export hidden cells" was checked. This is now fixed. The tab-export options used the TSV (Tab Separated Value) file extension name. The TXT extension is now added too, but tsv is still the default. Now accepts a column/row address in R1C1 notation too. If the data didn't start in column A, then the headers were'nt copied along correctly. This is now corrected. The option "As displayed" didn't work in combination with delimited text files. This is now fixed.